A legend in the world of commercial vehicles, Ford's Transit first appeared in the mid 1960s. Today it holds iconic status and is quite rightly regarded as one of the best commercial vehicles ever to have graced the UK's roads. 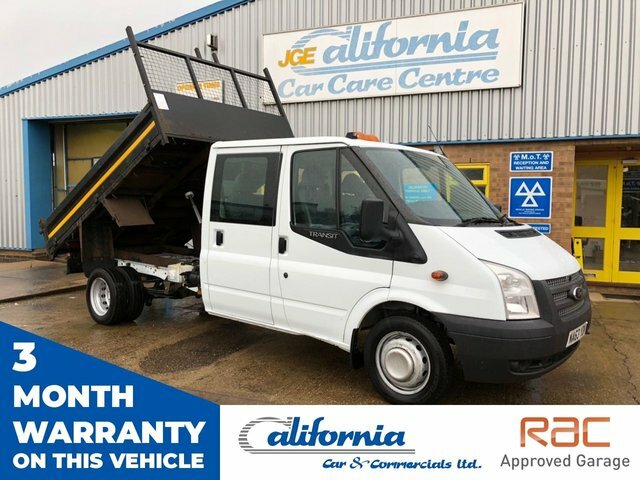 If you're in the market for a used Ford Transit in Kettering to help support your business, rest assured the team at California Car & Commercials will help you find the perfect model to suit your requirements. All of our used Transit vans come fully inspected and are competitively priced. You'll find our knowledgeable team invaluable when it comes to advice and guidance, so be sure to get in touch today to discuss your individual requirements in more detail.